Emerging evidence suggests that statins’ may decrease the risk of cancers. However, available evidence on breast cancer is conflicting. 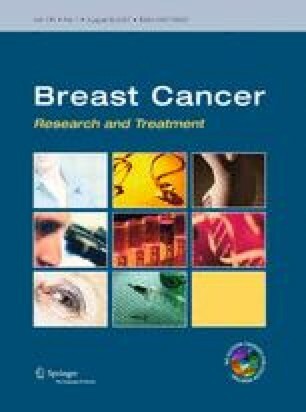 We, therefore, examined the association between statin use and risk of breast cancer by conducting a detailed meta-analysis of all observational studies published regarding this subject. PubMed database and bibliographies of retrieved articles were searched for epidemiological studies published up to January 2012, investigating the relationship between statin use and breast cancer. Before meta-analysis, the studies were evaluated for publication bias and heterogeneity. Combined relative risk (RR) and 95 % confidence interval (CI) were calculated using a random-effects model (DerSimonian and Laird method). Subgroup analyses, sensitivity analysis, and cumulative meta-analysis were also performed. A total of 24 (13 cohort and 11 case–control) studies involving more than 2.4 million participants, including 76,759 breast cancer cases contributed to this analysis. We found no evidence of publication bias and evidence of heterogeneity among the studies. Statin use and long-term statin use did not significantly affect breast cancer risk (RR = 0.99, 95 % CI = 0.94, 1.04 and RR = 1.03, 95 % CI = 0.96, 1.11, respectively). When the analysis was stratified into subgroups, there was no evidence that study design substantially influenced the effect estimate. Sensitivity analysis confirmed the stability of our results. Cumulative meta-analysis showed a change in trend of reporting risk of breast cancer from positive to negative in statin users between 1993 and 2011. Our meta-analysis findings do not support the hypothesis that statins’ have a protective effect against breast cancer. More randomized clinical trials and observational studies are needed to confirm this association with underlying biological mechanisms in the future. The authors thank Dr. Dimple Kondal, Senior scientist (Biostatistician), Centre for excellence, Public Health Foundation, India, for helping with the data analysis and Ms. Sahaja Banda for checking the accuracy of English usage. No potential conflicts of interest relevant to this article were reported. No funding was provided for the analysis.